Click here to be informed about upcoming events. Coyote Oaks is a natural place for transformation. Its roots run deep like the native grass that surrounds it. 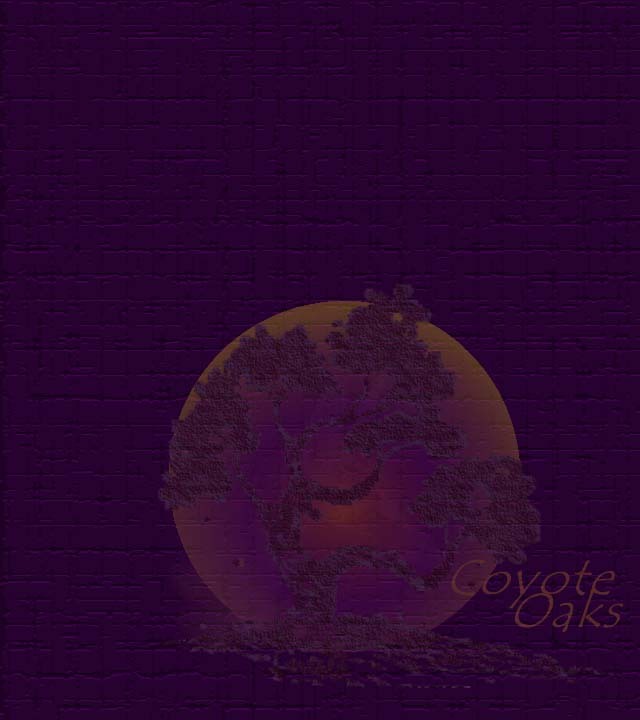 The idea is old, the oaks are new, and the coyotes have always been here. 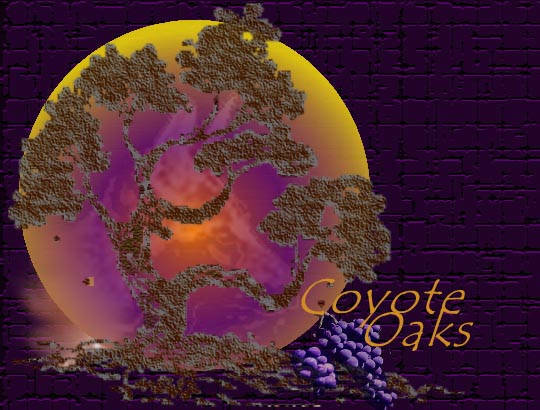 Located in the Smoky Hills of Central Kansas, Coyote Oaks is a primitive gathering ground for personal growth and creativity development offering holistic workshops, psycho-spiritual seminars, and transpersonal psychotherapeutic work. Opened in August of 2000, the grounds include an organic orchard, vineyard, and garden, two ponds, campsites, access to nearby lodging, and some of the best sunsets and sunrises you'll see in your life. In the coming years we will add a labyrinth for walking meditation, and eventually some small cabins and a conference center. Our mission is to meet the new age providing experiential transpersonal education that provokes thought on psycho-spiritual subjects, and nurtures your personal growth in body, mind, and spirit. All in a beautiful open setting. We invite you to be a part of this creative work in progress. "I am a Transpersonal Psychotherapist and since childhood these hills have been a healing place for me. They have given me the strength to dream. The broad horizons have granted me room to stretch my imagination, and they have beckoned me to explore. The subtle beauty of this place trained me not to overlook nuance but to seek the magical in nature's display. It is with great pleasure that I share this unique place of peace with you. 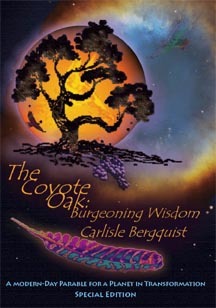 I hope Coyote Oaks will be a place you come for respite in a busy life." Come engage the spirits of the plains! Click here to be informed about other upcoming events. Send mail to carlisle@vantagequest.org with questions or comments about this web site.